The 8th International Exhibition Moscow Halal Expo 2017 will be held at the end of autumn – November 16-18, 2017 in the Sokolniki Culture and Exhibition Center. The organizer of the exhibition, Alif Consult company, deliberately postponed the event from early summer to fall in order to be able to attract a more professional audience interested in halal products. According to preliminary information from the Organizers, more than 200 buyers from 25 countries and 23 regions of Russia registered for the event three months before the Exhibition. 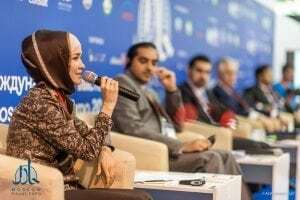 Companies from Bahrain, the United Arab Emirates, Saudi Arabia, Indonesia, Malaysia, Malta, Lithuania and the CIS which shows the greatest interest in Halal products from Russia.